Mick Riley is a pro when it comes to playing quarterback for the San Francisco Sabers but he is less than stellar in his personal life. He’s used to having famous women made available to him by his publicist so when he meets Tara Lincoln, a down-to-earth single mother, he is thrown. His feelings for her come fast but he has secrets in his past that might be a deal-breaker for their relationship. Tara has always put her 14 year-old son Nathan first and relationships were never an option for her. But the closer Mick gets to her and Nathan, the harder is it to remind herself that this is simply a summer fling. As my Romance class is winding down for the semester, one of our last weeks is erotica. I went to a local used bookstore to see what I could find for this week and a worker wouldn’t let me leave the store once she found out what I was searching for and why. And I have to say I’m glad she did. While the relationship between Tara and Mick gets pretty steamy and intense extremely early in the read, they have a great emotional chemistry as well. A bonus is that Mick is extremely close with his family who just happens to be in STL. Although STL was featured just a few times during this book, the next two in the series deal with Mick’s other siblings, including his brother who plays for a St. Louis baseball team. This was the final book of the Spring 2013 semester for SCC’s “Between the Covers” book club and I was pleasantly surprised with how much I enjoyed it. It’s a quick read; I was able to get through it in two days and I really enjoyed it. Told through a series of letters written by the main character, Charlie, we are taken back to the early 90s as Charlie begins his high school experience. He’s a quiet individual, more prone to sitting back and observing than actively participating. But he starts coming out little by little as he makes new friends at school, primarily Sam and Patrick who love and appreciate him for being exactly who he is. The reader isn’t sure who Charlie is writing his letters to which leads to some interesting speculation. While I was reading I certainly found myself relating to certain high school experiences and feelings that Charlie was going through. 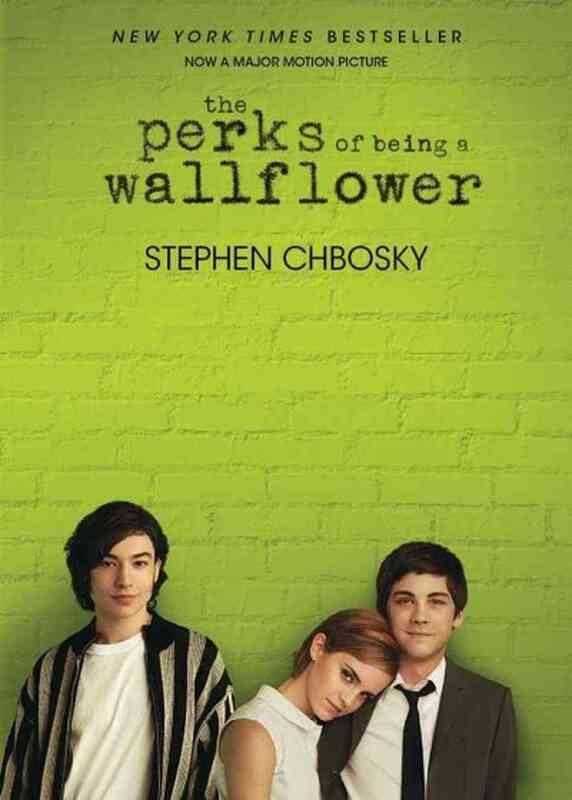 Chbosky did a great job developing Charlie’s voice and leading the reader through this story. I’m glad The Perks of Being a Wallflower was part of our book club so I had to pick it up and see why so many people love it. I am curious to see the movie now… and I can’t wait to hear what other people think about the book tomorrow when we meet to discuss it at our “Between the Covers” meeting! Code Name Verity came highly recommended from a number of different sources. It got starred reviews and is a Printz Honor title so I was curious to see what all the fuss was about. A number of people recommended checking out the audiobook so I decided to go that route. Code Name Verity is set in World War II Europe, primarily in England and France. The story is told from the points of view of two best friends, Julie and Maddie. They have crashed in occupied France – one of the girls has been captured, the other is in hiding trying to figure out a way back to England. Neither Julie or Maddy is aware of what is going on with the other. The first half of the book is told from Julie’s point of view. She has been captured and imprisoned by the Gestapo. They are having her write down her “confession” as to why she is in France and in the process of writing this confession, Julie tells the story of her friendship with Maddie and we’re given the back story of how the girls came to be in their respective situations. The second half is Maddie’s account which is markedly different, even though she’s in hiding she’s incredibly lucky compared to what Julie is going through. This was an engaging book, but I wasn’t wowed by it. I appreciated the historical aspects of the book and I liked that the roles women could play in World War II were presented beyond the confines of what people typically think of when they think of women in the war. The audiobook version was good – both narrators did a great job bringing their characters to life. In the second book in the Covenant series, Alex is up to her same old tricks. She just can’t seem to stay away from Aiden, a pure blood who is completely off limits to half-bloods, or trouble. And hanging out with Seth isn’t helping her rebellious streak at all. Alex has to keep herself under control as her meeting with the Council is approaching and unless she wants to end up in servitude, she needs to be on her best behavior. My synopsis is extremely vague as I don’t want to give anything away in the series. But I can say I loved this book. With the Divergent series, I started to obsess from the very first book. 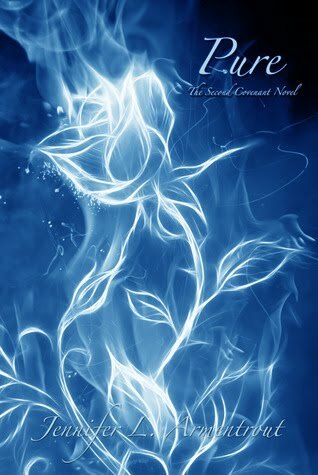 But with the Covenant series, it’s this second book that really hooked me. The potential storylines that were introduced in Half-Blood were starting to be developed in Pure. The love triangle between Alex, Aiden, and Seth really takes off and the reader really gets to know the relationship between Alex and Seth. I know it’s the Alex/Aiden relationship I’m supposed to be loving and cheering for but I really like Seth because of how defiant and protective he is of Alex. The one complaint I have is that I wish the death of a certain character and the aftermath was explored more but hopefully that will be addressed more in the next book. There were two things that Mclean loved more than anything, her family and basketball. But after her mom left her dad for their town’s college basketball coach, well everything changed. She chose to live with her dad and that meant being shuffled around because of his restaurant consultant job. Mclean has spent the last two years in four different schools trying to be anything but Mclean. Whether it’s being the popular girl or the involved in everything girl, she’ll be anything as long as she doesn’t have to be Mclean. Now they’re in another new town and before she has a chance to reinvent herself again, she meets the boy next door, Dave, who makes her want to discover who Mclean is again. I somehow have skipped over Sarah Dessen so when Teen week came up in class, I jumped at the chance to read her latest book. I loved how Dessen developed her characters, especially Mclean. Although it might sound crazy to make yourself into a completely different person every few months, including your name, I understood why Mclean did it and didn’t fault her for it. Whenever she felt angry and annoyed by her mom, I did too, even though at times it was a touch irrational. The bonus was the romance between Mclean and Dave. It was a sweet relationship with an adorable guy that ended with a thoughtful message that wasn’t only for teens. Vivian has always had strange dreams and has been mostly successful in ignoring them. But after a teenager came into her ER talking about dragons before burning from the inside out, she starts to question things. With the help of a new friend she has been destined to meet, Zee helps Vivian discover who she is and what fate has in store for her. A whole new world, or worlds, is opened up to Vivian and the only way to survive is to bring down a powerful sorceress. Oh, and to watch out for those dragons. I will admit that Urban Fantasy is not a genre I gravitate towards but this was a fun read. 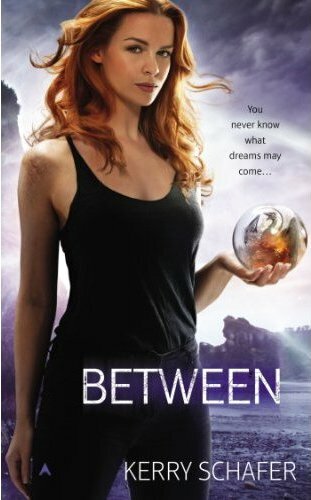 Things move fast and since there are three worlds that Vivian can go between, the Wakeworld, Dreamworld, and the Between, you really have to pay attention to where she is. But as fast and as strange as things happen, I never found the read confusing or felt overwhelmed with what was happening to Vivian. My favorite part of this read was Vivian’s sidekick Poe, who happens to be a penguin. At first he seemed a little out of place, but he added a sweetness to an otherwise intense read. I picked this up on a whim and I can’t get over how much I loved it. 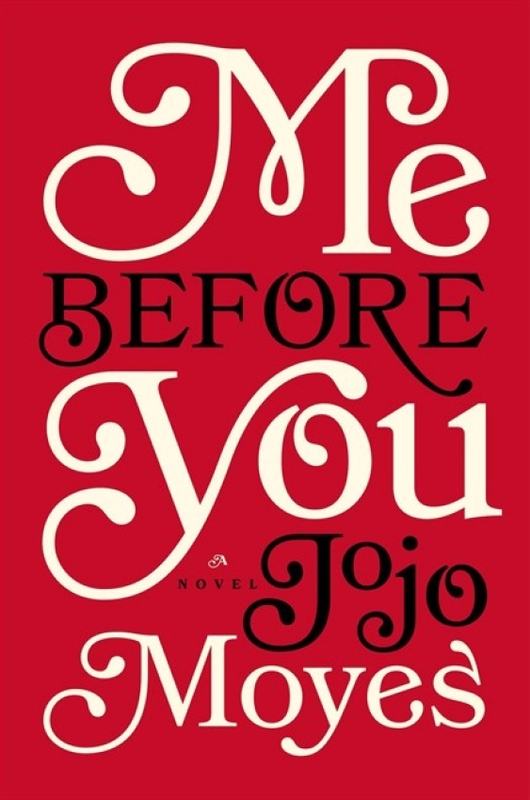 Me Before You has a unique story – set in England, Lou (short for Louisa) has recently lost her job. She eventually finds work as a sort of “companion” for Will. Will lives in a world completely different from the one Lou grew up in. He is clearly upper class and was used to living a full, rich and adventurous life as a powerful businessman. Now, however, Will is confined to a wheelchair – a quadriplegic. He’s had an incredibly hard time adjusting to his new “life” and Lou makes it her mission to help show him that his life doesn’t have to end because of his medical condition.